One of Cumbria’s newest and most popular award winning visitor attractions is donating £3,000 to help repair some of the high-level paths in the Lake District. 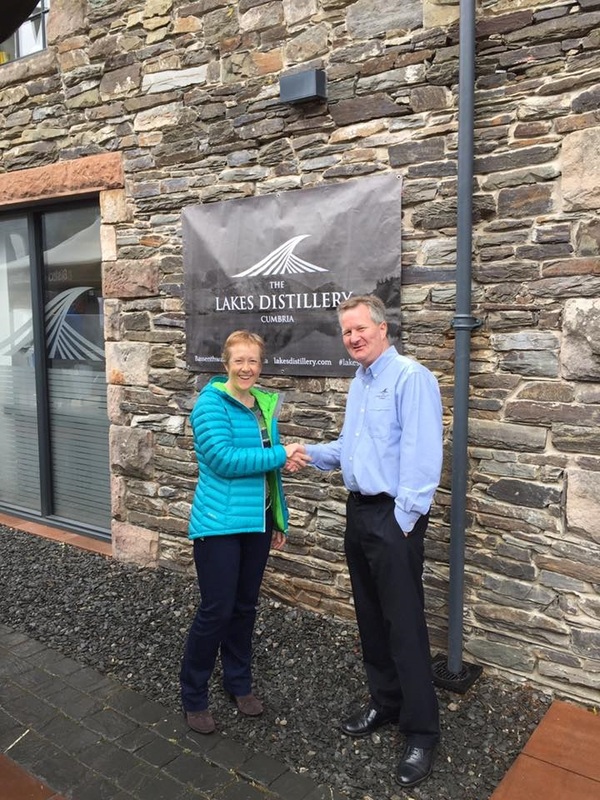 The Lakes Distillery, Bassenthwaite Lake has raised this money from its supporting visitors for Fix the Fells, the partnership which repairs and maintains the upland paths in the Lake District fells. When visitors to the Lakes Distillery purchased items from the gift shop they were advised to show their support for partner charities with tokens. Over the past 15 years Fix the Fells has brought significant improvements to more than 200 paths in the Lake District fells. Fix the Fells is a partnership programme between the National Trust, the Lake District National Park, Natural England, Friends of the Lake District and Nurture Lakeland. The work is carried out by teams of National Trust Rangers, who work on behalf of the partnership, alongside an army of over 100 volunteers. Joanne Backshall, Fix the Fells Programme Manager, said, “We are so grateful to the Lakes Distillery for their continuing support for our work, which helps to keep the Lake District landscape beautiful for all to see and enjoy. “The spectacular scenery and the fabulous visitor experiences such as the Lakes Distillery make this area a wonderful place to live and visit. Paul Currie, the original founder of the Lakes Distillery, said, “There is no better way to support the local area than fundraising for Fix the Fells, a team of skilled volunteers who repair the mountain paths in the Lake District. “The Lake District is home to The Lakes Distillery; therefore, it is our duty and care to ensure we look after this beautiful National Park. “The one and only British Isles blended whisky, The ONE, and our family of award-winning spirts are created with their roots here and are proud to call the Lake District their home. Fix the Fells is currently concentrating on repairing paths damaged by Storm Desmond in December 2015. This includes work to popular paths on Scafell and Helvellyn as well as to the busy Wainwright Coast to Coast path across Cumbria.